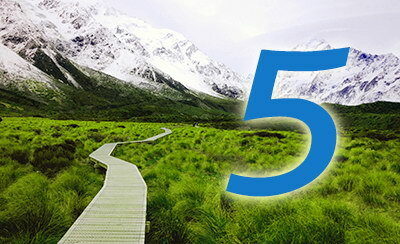 Life Path 5 is followed by people whose existence on this plane includes a great focus on progression and improving the world around them. The pursuit of freedom in all things is one of your major focuses. Your versatility, sense of adventure and ability to think abstractly will serve you well. When life presents you with questions and mysteries, your curiosity drives you to finding the answers. This often incorporates much change and improvement of your personal self, and you seek freedom to be productive and grow in the way that makes sense to you. As you value this freedom for yourself, your compassionate nature allows you to respect it in others as well. This works on both the micro and macro scales; you have a devoted concern for humanity at large and may work toward society's freedom and benefit. Abraham Lincoln, who defeated slavery with his Emancipation Proclamation, was an excellent example of a person in power on Life Path 5. Your interests and strengths may likewise lead you to a career in politics, the legal system and other authority positions that can affect real change. Life Path 5 individuals have excellent communication skills and strive to motivate others to gain new heights. Sales may be an excellent career choice for you as you both motivate and entertain others with your wit and sense of camaraderie. Not only can you sell actual merchandise well, but also ideas and concepts. Every Life Path is made up of both positive and negative traits. Number 5 individuals can get bogged down in their ideals and diverse talents and lack the focus it takes to really get things done. While you may have a lot of ambition, your path may be aimless and confused, which can lead to stress and diversion on the road to success. You may have trouble sticking to one career path or lack the diligence it takes to complete tasks associated with job and home.